My earliest memory is a birthday. My sister’s. I remember my grandma… she must have been so young then. Not much older than I am now. The women in my family have a way of getting child bearing out of the way early. She also got dying out of the way early, which is quite possibly the worst way to word something like that. She was 49 when she died of Pancreatic Cancer–knowing her as I did, she would have loved my inappropriate jokes. We were at one of those California Mexican restaurants that Mexicans (like she was, like I half am) love to go to for special occasions that are full of Mexicans but the food is clearly American ideals of Mexican food. Much cheese, much red sauce. 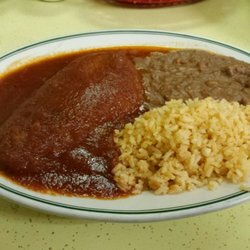 Enchiladas are a big thing. How hungry are you for this right now? Will you even admit it? Everything in my memories are tinged yellow. I always try so hard to describe the glass that was above the booths of this restaurant–it is yellow, mottled, thick glass. Thick like a Coke bottle. 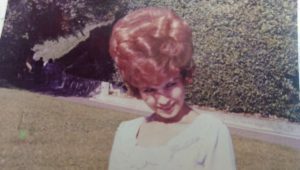 My grandma was the kind of woman whose attention you craved. She favored me, that I knew. I was the first grandchild. She would smoke Virginia Slims and make Tamales and give me quarters to keep performing the Chipmunks theme song for her when I would stay at her house. She had a big dog whose tail was so muscular and strong that it knocked me over when it wagged. I am three years old and some change in my earliest memory. I am eating chips and salsa and she is drinking something, I’m sure, that is stronger than what I am drinking, which I know is Sprite or 7-up, because I remember the bubbles. It may have even been a Shirley Temple. And I remember her saying that I would never be alone now, because I would have a brother or a sister. I remember not knowing how I felt about that. 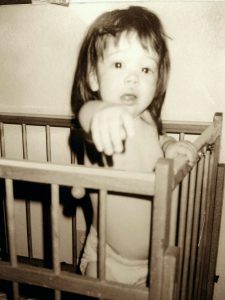 My sister as a baby, already accusing me of something. Hourly employees are to use this celebration in place of their mandated one-hour lunch break. If the hourly employee chooses not to participate, they may take their regular lunch in a location of their choosing and MAY NOT contribute food to any potluck or collect food from any potluck occuring in their absence. Due to last month’s complaints regarding the curated birthday playlist and lack of radio edits, this month’s playlist will only feature a medley of Disney movie songs. 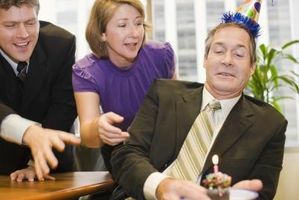 Perhaps the most common story I heard was one of hurt–the idea that some birthdays were celebrated more heavily than others. 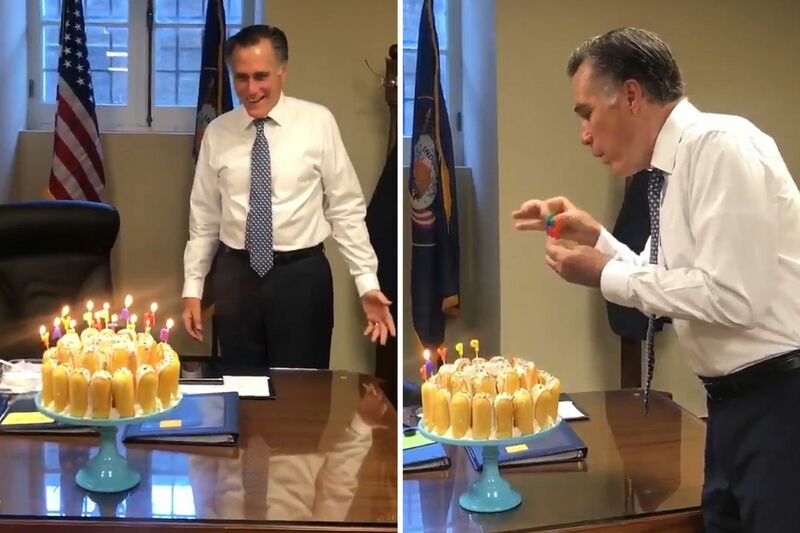 I heard stories of over the top celebrations for one person who everyone “liked”, followed by a barely acknowledged birthday for someone less popular. So can we do better? 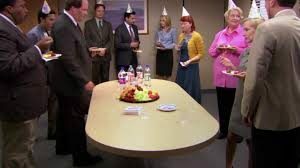 There are certainly some bright spots out there, and the theme for the happiest of birthdays in the office seems to be taking a cue from the birthday girl or boy themselves. As my former teammate Elizabeth said, “everyone should be celebrated the way they want” meaning, if they want to spend that day out of the office so as to avoid any conversation (like Elizabeth and I preferred), so be it. Don’t make them feel bad about it. And if they are that extra person in the office whose favorite color is glitter, then make it fun. But make it fun understanding that sometimes the quietest person in your office also might want a big ol’ thing–they are just embarrassed to ask for it. By the time you read this, my own birthday will have passed on the 20th. In my new office, there is a goofy hat for the birthday VIP to wear. There are tiny champagne bottles involved, too. So this year, I’m going to try something new. I’m going to spend my day with the people I work with, and bask in the attention a little bit. I’m going to try and not deflect compliments for a day, and accept them gracefully. I planned on making this post end on some sort of funny note, given that my last post was so emo. But, last weekend, a good man died.I idolize Economists and policymakers the way some women might idolize the actors who are Avengers. 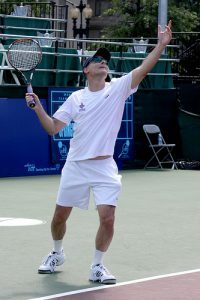 There are very few people on this big, amazing Earth who know that there was a framed picture next to my desk throughout my Masters and PhD of Alan Krueger dressed in Tennis Whites, winning the DC Celebrity Tennis open…DC being one of the few places where Alan Krueger would be considered a “Celebrity”. I never met him, but hoped to. I considered him my Academic Grandfather, although we are only 20 years difference in age. One of his PhD students would later become one of my mentors and advisors, and so I felt a connection to this man I would never meet who believed that Economic research isolated from policy making was garbage. I kept that picture by my desk to remind me that some nerd, partnering with another nerd, had flipped common assumptions on their head about the impact of the minimum wage. That research would go on to affect the lives of millions of people–people who looked like my family and neighbors. So maybe instead of focusing so much on celebrating people on one big day, we shift our attention to small celebrations on random days. The first thing I did after learning about Krueger’s death was reach out to my dissertation adviser and thank him for making me what I am today. So that is my challenge to you–find someone who brought you up professionally or academically. Drop them a note, tell them how much they mean to you. Don’t wait for a birthday that might not come.